The home is set up to comfortably accommodate up to 6 guests with plenty of ways to enjoy the outdoors with a front porch, back deck and large yard. An attached greenhouse offers the ability to pick seasonal, fresh produce. The house is powered by solar panels. One of the upstairs bathrooms has an antique claw foot tub, perfect for soaking after a day of exploring. A washer/dryer and off-street parking make the home ideal for longer stays. We are flexible about check-in / check-out times. There is an electronic lock for self-check in and you will have the house to yourself. Our small family wanted an alternative to a hotel while visiting relatives in Mystic, and this was just right for us. Upstairs/downstairs layout with backyard and 2.5 baths is great for families, and open kitchen/dining encouraged meals at "home" rather than out. 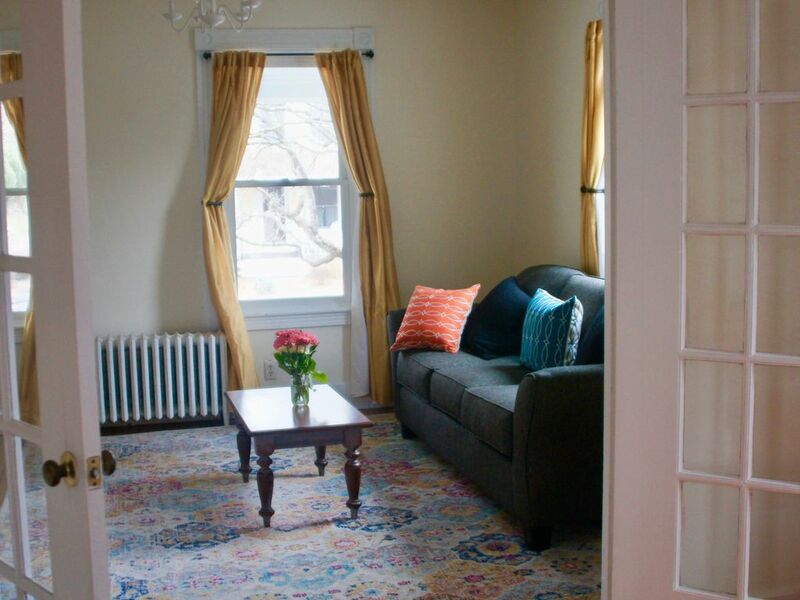 Location is as central as you can get, a 5-minute drive to Seaport and Aquarium, and a short and easy walk to downtown Mystic with bridge, bookstore, ice cream, etc. Kitchen/baths were well stocked and radiator heat worked like a charm. It's an older house, so don't expect perfection; but if you are familiar with New England houses you'll appreciate the layout and updates the owners have made. Owners were easygoing with good communication. We stayed for a week, but could easily see being comfortable here for longer stays.